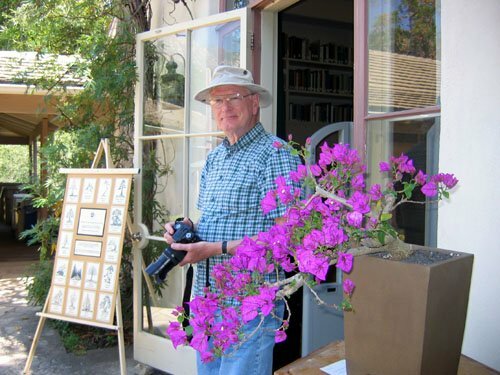 As you may recall, last September’s program was a presentation by Daniel on his serendipitous visit to Ryan Neil’s nursery and garden in Portland, Oregon in 2014. Daniel was so impressed and motivated by Ryan and his amazing bonsai work that he has subsequently returned to Portland multiple times to study with Ryan. 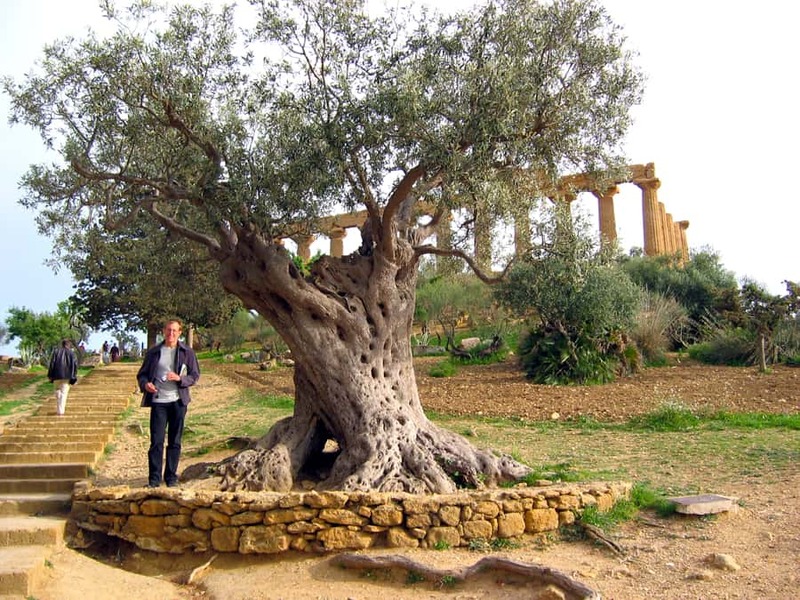 This month we will learn more about Daniel’s literal and figurative journeys in search of excellence in bonsai. The picture shows Daniel and Ryan during Daniel’s first visit to Ryan’s nursery. A big thanks to Carol Hicks and her landscaping husband for hosting our yearly Pot Luck. We had a great turnout! Yes, we even had dancing girls this time. There were wonderful raffle items for everyone to select from. I do have several heavy plastic garden display tables to keep your bonsai on that are for sale. I’ll bring an example to the next club meeting. Also at the next several club meetings, I will bring two pots which will go to the person with the winning ticket. On Saturday, September 5, we are scheduled to visit the Muranaka Nursery in Nipomo. As usual, we will meet in the upper parking lot at Sears at 7:45 and leave at 8:00. It should be a fun trip. As Tom said in his message, everyone had a great time at the potluck, and the club raised a couple of hundred dollars or so from the many items donated to the raffle. Carol and Michael Hicks were perfect hosts at their newly re-landscaped house. As reported last month, the club has decided to use some of the money generously donated by the family of our late long-time faithful member Sally Gilmore to encourage attendance at the upcoming GSBF Convention in Riverside. Full registration at the convention is $295. On a first come, first served basis, the club will pay one-third of the registration fees for an undetermined number of our members. Such a deal! If you are interested, talk to Tom Post. 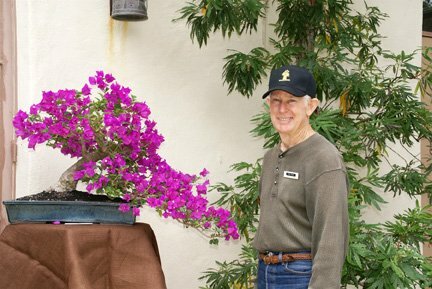 Ernie Witham discovered that Terra Sol Nursery now carries Akadama, that expensive Japanese bonsai soil that many plants, especially black pines, just love. When I went to buy a bag, they still had a big stack of them. If you love your trees, it might be worthwhile to sell a few ounces of that gold you’ve been keeping to fund your retirement and invest in Akadama instead. Meet at 7:45 at Sears’ upper parking lot, leave at 8:00. See Tom Post’s President’s Message above. 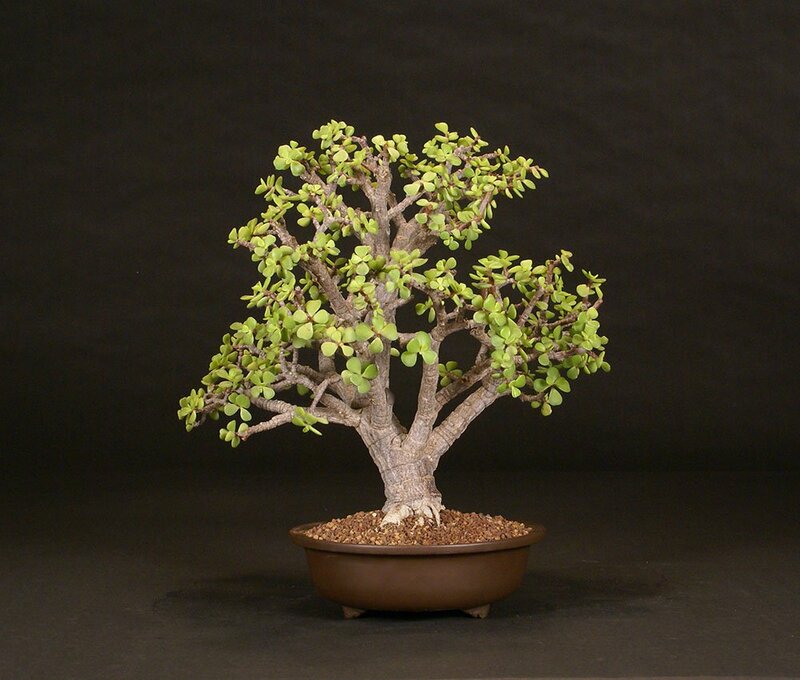 September 12: Bonsai Club Of Santa Barbara: 2nd Saturday Workshop With Ann Erb. 9:30 AM until 12:30 PM, Room 8, Goleta Valley Community Center. Our own Ann Erb, instructor.